July 14 2017, Montevideo, Uruguay - A stocktaking workshop of the PAGE program for Uruguay was held this Friday, the 21st July 2017, at the Uruguay Ministry of Industry, Energy and Mining (MIEM). Uruguay is one of PAGE’s newest partner countries, joining the partnership at the PAGE Ministerial Conference in March this year. As a demand-driven project, countries wishing to join the partnership must complete a comprehensive application process, demonstrating cross-ministerial support for green economy transition in the country. Uruguay acceded to PAGE thanks to the commitment of Presidency of the Republic of Uruguay, several ministries and institutions of the academy, the private sector and civil society. They are, in addition to the MIEM, the Ministry of Economy and Finance; The Ministry of Housing, Spatial Planning and Environment; The Ministry of National Defense; The Ministry of Labor and Social Security; The Ministry of Livestock, Agriculture and Fisheries; The Ministry of Health; The Ministry of Tourism; The Office of Planning and Budget; The National Secretariat for Environment, Water and Climate Change; The Uruguayan Agency for International Cooperation; The University of the Republic; The University of Montevideo; The Catholic University; Claeh; The PIT-CNT; The Chamber of Industries of Uruguay; The Pando Science and Technology Park; The Cerro Industrial Technology Park; And the National Association of Non-Governmental Organizations. Since welcoming Uruguay to the PAGE family earlier this year, PAGE is setting its focus on catalyzing the process of green economy transition in the country, focusing investments and public policies towards a new generation of resources - cleaner technologies, healthy ecosystems, qualified green manpower - driven by strong institutions and good governance. Together, PAGE and Uruguay will promote the establishment of conditions that will drive increased prosperity, greater equality, conservation of natural resources and the eradication of poverty. At the opening of the workshop, the undersecretary of MIEM, Guillermo Moncecchi, and the resident coordinator of the United Nations in Uruguay, Mireia Villar, spoke. Moncecchi said that the work of the UN is taken "very seriously and with great force" in Uruguay. He also welcomed the fact that, since the project was presented in the Environmental National Cabinet, it brought together the multi-stakeholder approach. He considered that it is his "great strength" and the sample of the attitude with which this program is taken in Uruguay. He also stated that this inter-institutional work "is not exceptional"; On the contrary, it is part of the state of development to which Uruguay has advanced, as the knowledge arising from the government, the academy, the private sector and civil society makes it possible to move to "new stages". "It is emblematic of the Uruguayan government and society," he said. 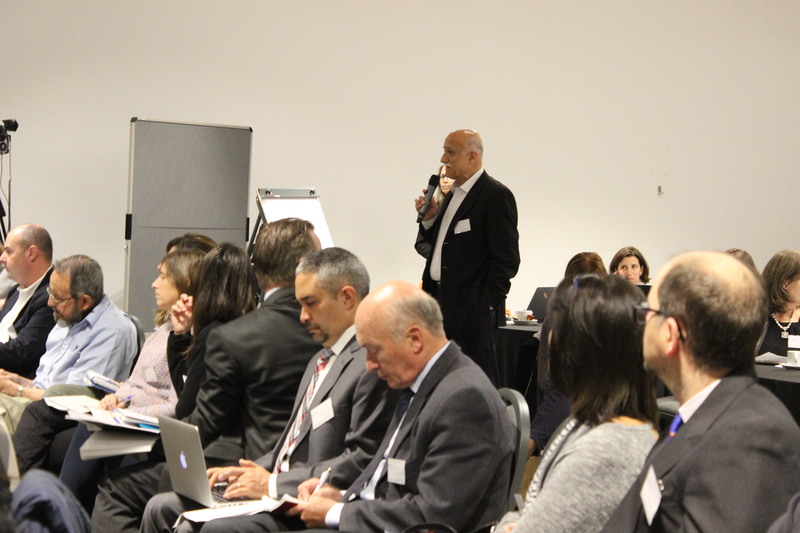 "Looking for what each one has to contribute will give us very good results as a country," Moncecchi said. For his part, Villar said that PAGE represents an "open space" and an excellent opportunity to seek connections between the state, academia and the private sector. The objective is to accompany governments to achieve the Sustainable Development Goals of the 2030 Agenda. The UN resident coordinator, said that Uruguay is a country ideal characteristics to take the leap to accede to the "second half of the SDG table," referring to reductions in gaps in health and education, on which there have been years of work with good results. However, he felt that he should be humble about the overall results obtained in areas such as the green economy, where, he pointed out, Uruguay has some progress to make, for which PAGE could be a valuable resource. He explained that the alliance of PAGE is a platform for the exchange of knowledge inside and outside the partner countries. 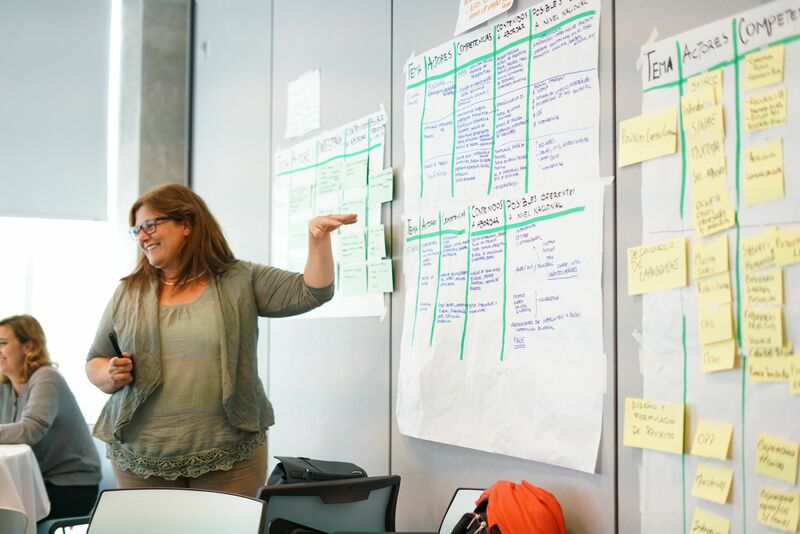 For this reason, high-level technical support is offered to those who want to "make a change in their public policies" and ensure policy coherence, avoid redundancy, provide overarching technical guidance, and the tools to measure progress and attract investors. Villar congratulated Uruguay for wanting to join the Partnership, noting that this model was a good fit and consistent with the rest of the work that the country has done. 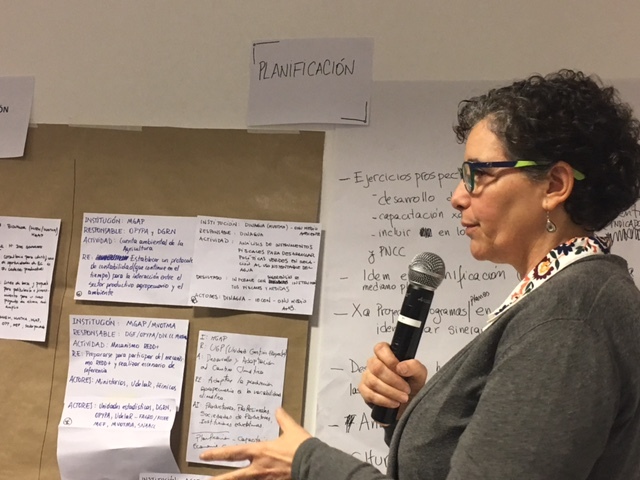 After the interventions of Moncecchi and Villar, the activity continued during the day, with interventions from, among others, the Secretariat of PAGE, the OPP, the National Secretariat for Environment, Water and Climate Change and the United Nations Organization for Industrial Development. Berlin, Germany – On March 28, 2017, Uruguay and Guyana joined the Partnership for Action on Green Economy. The announcement was made at the PAGE Ministerial Conference in Berlin attended by over 430 participants, including 40 Ministers. Both countries have demonstrated a strong commitment to making the transition to inclusive green economies, reducing pollution and emissions, and achieving Sustainable Development Goals. By joining PAGE, the governments of Uruguay and Guyana not only took a leap forward towards sustainable economies in their respective countries, but also created new opportunities for collaboration and knowledge-exchange in Latin America. In Uruguay, PAGE will build upon a green economy scoping assessment completed in 2014 and conducted by Instituto de Economía (IECON) de la Universidad de la República, the government of Uruguay, United Nations Environment Programme, and the Deutsche Gesellschaft für Internationale Zusammenarbeit (GIZ) in 2014. The report identifies several areas for targeted support for green economy, including agriculture, livestock, industry, tourism and transport. As said by Ambassador Alberto Guani of Uruguay, “Uruguay shares the view of PAGE in focusing on sustainability as the main core for all national policies, pursuing the purpose of aligning such vision to an economic growth that will reflect in higher income, creation of new jobs, moving towards poverty reduction and inequality by strengthening the fundamental environment of economic structures.” These changes will be made possible by the high-level and cross-sectoral commitment of the government of Uruguay to green economy as well as by the support of the private and civil sectors. As in Uruguay, the government of Guyana has similarly demonstrated a strong commitment to sustainable and inclusive economy. In its application to PAGE, the government identified exceptionally strong cross sectoral support for inclusive green economy in the country. President David Granger of Guyana has said Guyana "is a state that will ensure a secure future for its people in the pursuit of a ‘green’ economy. It is one that is proud of its place as a reliable and cooperative partner in international efforts to protect the earth’s environment”. Guyana’s transition to green economy will involve working toward de-coupling economic growth from the depletion of natural resources and pollution to ensure Guyana’s long-term sustainability and well-being. In December 2016, the government of Guyana and the United Nations Environment Programme (UN Environment) hosted initial consultations on the National Green State Development Strategy, which brought together government officials, civil society, the private sector, and bilateral agencies to generate an initial framework for action. The established core objectives of the framework include the following: social cohesion and inclusion; wellbeing; sustainable use of biodiversity and increased resource efficiency; decarbonisation and climate resilience; sustainable finance and; good governance. Bringing together the expertise of five UN agencies – the UN Environment Programme (UN Environment), the International Labour Organization (ILO), the UN Industrial Development Organization (UNIDO), the UN Development Programme (UNDP), and the UN Institute for Training and Research (UNITAR) PAGE seeks to put sustainability at the heart of economic policies and practices to advance the 2030 Agenda. Working closely with national governments, private sector and civil society, PAGE has been assisting partner countries to embark on inclusive green economy trajectories since 2013. 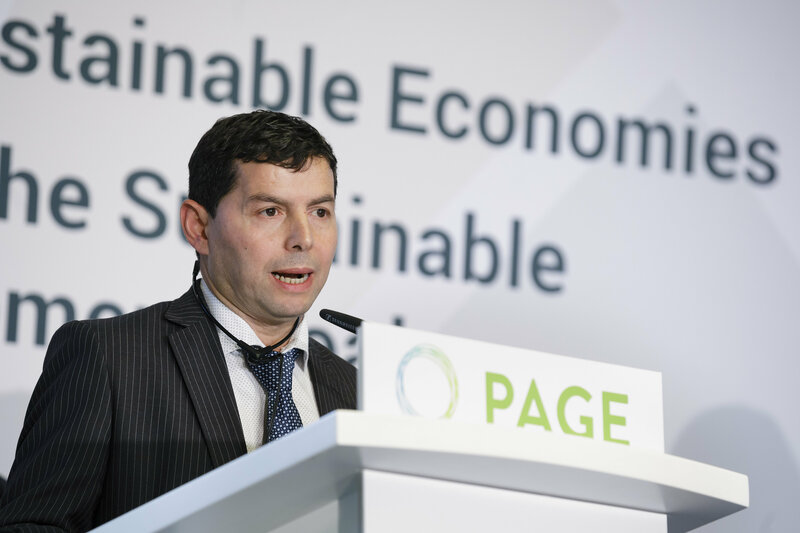 With the inclusion of Uruguay and Guyana in the partnership, PAGE has renewed its commitment to supporting an increasing number of countries and has created exciting new possibilities for green economy and collaboration in the Latin America.